Dr. Lim Hong Meng obtained his Bachelor of Dental Surgery (BDS) from the National University of Singapore (NUS) in 1988 and started his orthodontic specialty training in 1990 under the Higher Manpower Development Programme (HMDP) postgraduate scholarship programme in the Government Dental Service and at the Graduate School of Dental Studies, NUS. He passed his examinations for the degrees of Master of Dental Surgery in Orthodontics (MDS Orthodontics) by the NUS and the Membership in Orthodontics (M.Orth RCS) by the Royal College of Surgeons, Edinburgh in 1994. He was admitted as a Fellow of the Academy of Medicine, Singapore (FAMS Orthodontics) and entered into the Academy of Medicine’s Roll of Specialist in 1997. 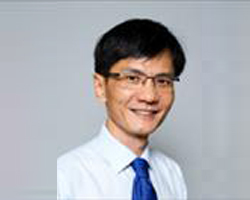 He was also a visiting consultant and clinical tutor in the postgraduate orthodontic residency program at the NUS from 1997 to 2006. Mount Elizabeth Orthodontic Clinic (MEOC) is established by Dr. Lim in 1997 when he entered private practice after 7 years in the Public Service. Dr. Lim believes that skills and experience in the craft of orthodontics takes time and diligence to develop. He has continually upgraded his skills and improved his procedures and patiently built up his only and dedicated practice over the last 20 years or so and relied on his own work and patients to spread the words about MEOC. Dr. Lim continues to develop his interest and skills in the field of lingual / invisible orthodontics since 1997. He is one of few orthodontists in Singapore who offer the invisible Lingual Braces. Thus, he is able to provide the full range of aesthetic orthodontic treatment options such as Invisalign/aligners, lingual braces, ceramic braces and in different combinations and at different stages of the treatment to cater to the different complexities of the malocclusions, varied patients’ demands, expectations and budgets.